I spent most of my adult life in Colorado and have been travel/destination diving since 2003. 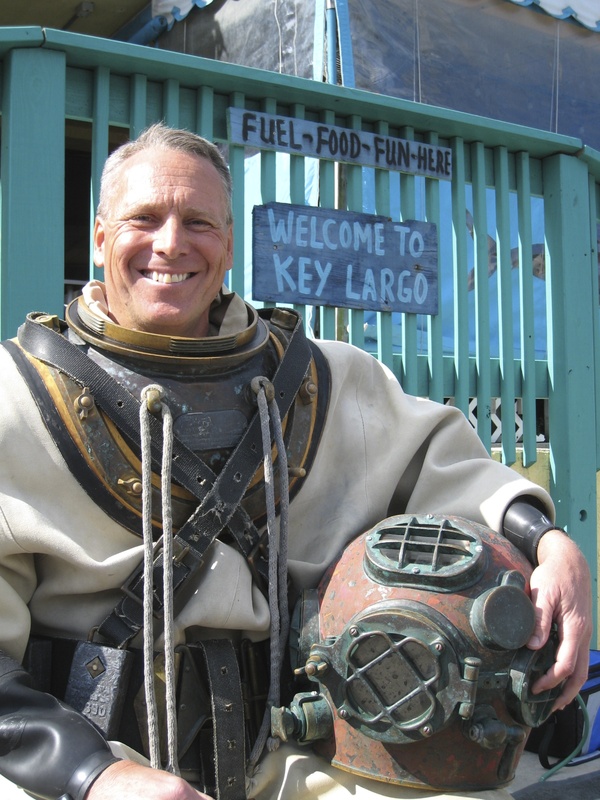 In the fall of 2011, I chose to relocate to Key Largo, Florida to pursue diving as a full-time adventure. I worked in Key Largo as an independent scuba instructor until April 2015, when I moved north and began operating out of Stuart and Jupiter, the heart of southeast Florida’s Gold & Treasure Coast. I am a PADI certified and insured Master Instructor and an SDI/TDI Scuba Instructor who seeks to develop confident and competent divers through quality education and training. I offer personalized guide trips and dive training from Discover Scuba Diving through Divemaster (Professional Diver) and/or Master Scuba Diver (Non-Professional Diver). I am also certified to teach forty PADI and/or TDI/SDI Specialty courses, as well as four Emergency Care and Safety courses, and I’m a certified Poseidon Mark VI Rebreather diver and a Hollis Diver Propulsion Vehicle (DPV) operator. I am a member of the staff at the Jupiter Dive Center (www.jupiterdivecenter.com), a PADI 5 Star Center and Scubapro Platinum Dealer. I instruct, guide, and crew as part of the JDC team, and I utilize JDC for most of my charter services and training venues. Please ask for me by name when booking directly with the Jupiter Dive Center. Additionally, I’m also a staff instructor for Scuba Girls, a dive travel and recreation club. As an independent scuba instructor I do still have the flexibility to work with our local dive operators to customize your training to meet your individual diving goals. Customer preference, weather, charter schedule, space availability, equipment considerations, and the scuba class or specialty course selected will oftentimes determine which location or dive site to use to complete your training. With approximately 40 miles of coastline to explore, clients will be able to dive in the Atlantic from as far north as Stuart and points south to Riviera Beach. In 2013, the Blue Heron Blvd. Bridge (located at the south end of this 40 mile area) was chosen as one of the 50 best dive sites in the world for macro-photography by PADI’s Sport Diver magazine. Clients who wish to dive in Key Largo are encouraged to contact me for availability, as I will continue to dive in the Keys, affording customers more choices and diversity of dive sites throughout southeast Florida. Small class size. Personalized service. The flexibility to dive where and when you want. Expand your horizons. Dive with Dave.